Jimmy gained his Supreme Title with One All Breed Best In Show, 19 Best in Terrier Groups and 16 Runner up Best in Groups all under the age of 4 years. We are extremely proud of Jimmy's achievements. You can see his full profile on "My Girls and Boys"Page. Welcome to my website. I hope you enjoy looking through it. 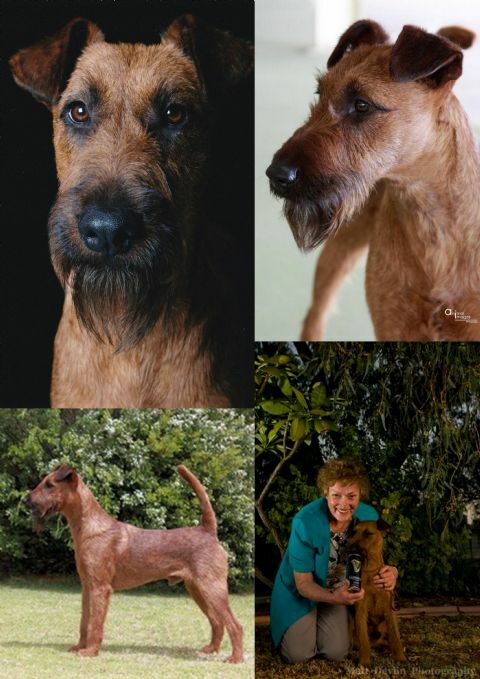 If you are interested in learning more about the Irish Terrier in particular, or any ot the other Terriers on the site, please do not hesitate to contact me. If you like my website you might like to leave a message in my guest book.